The Eastern and Southern Africa Water and Sanitation Regulators Association (ESAWAS) is a network of regulators from the Southern African Development Community, as well as Burundi, Kenya and Rwanda, who work together to improve the effectiveness of water services regulation in the region. 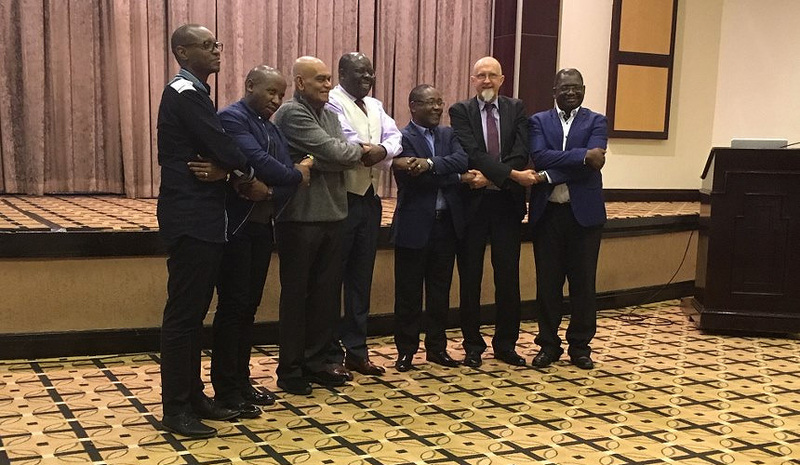 This October, CRIDF hosted a high level delegation from the Association in Pretoria for a two-day workshop to carry out a review of its strategic plan. This meant reviewing the 2016–2018 plan and working on the development of a new one for 2019–2021. The new plan expands significantly on the previous one with two additional strategic objectives: “Promote independent regulation in the region” and “Research and analyse emerging regulatory trends and practices”. For the first time, key focus areas in the plan target climate resilience, gender mainstreaming, and pro-poor regulation. CRIDF is committed to supporting certain aspects of the rollout of the new plan, which will likely include such areas as building climate resilience in utilities, addressing rural regulation with a strong pro-poor component, and enhancing non-revenue water management. CRIDF attended the ESAWAS 12th Annual General Conference in Nyamata in November to present on their cooperation with the regulators, which is formalised by an MoU between the two parties, and the climate resilient, pro-poor thinking behind it. The presentations were a perfect fit with the theme of the conference, “The regulatory environment for accelerating access to water supply and sanitation services with focus on sanitation and climate resilient systems: leaving no one behind”.